A list of of the upgrades for each Skylander. The prices listed are the prices at the full 20% discount gained by collecting all ten of the Winged Sapphires. At that discount to fully upgrade a Skylander you need 11,360 coins, which at full price is 14,200 coins. Note that you can't buy an upgrade that enhances another ability if you haven't already bought that ability to enhance. 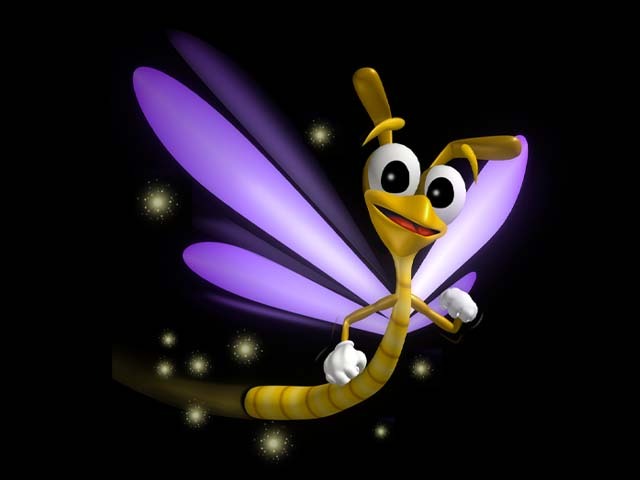 For example you cannot buy Spyro's Soul Gem ability "Spyro's Earth Pound" before you have purchased the "Spyro's Flight" power even though it appears on the upgrade screen. Breathe balls of fire at your enemies. Lower your horns and charge forward, knocking over anything in your way. In flight, press Square to Dive Bomb - Requires Soul Gem in Crawling Catacombs. Flameball attacks travel further. Press (O) to fly. Increased speed and armor while flying. Can perform Charge attack for increased distance. Shoot three Flameballs at once. Further develop your Flameball attacks. A Fire Shield appears when using the Flameball attack. Flameballs do extra damage and the middle one explodes. Hold (X) to charge up Flameball attack for MAXIMUM damage. Further develop your Charging attacks. Enemies hit by Charge attack become stunned. Charge attack does increased damage. Charge longer to do extra damage. Press and hold (X) to fire a beam of energy that locks onto targets. Summon a mindless double that seeks enemies and explodes. Can fly over water - Requires Soul Gem in the Lair of Kaos. Eldritch Beam attack does increased damage. Exploding Doubles do increased damage. Press (O) to summon a Magic Bomb. Have up to 3 Exploding Doubles active at any given time. Further develop your Eldritch Beam and Magic Bombs. Eldritch Beam has longer range and does extra damage. Magic Bombs do increased damage. Hold (O) to fire off repeated Magic Bombs. Further develop your skills with Exploding Doubles. Shoot an Exploding Double and it increases in size and damage. Exploding Doubles launch themselves at enemies and do extra damage. Exploding Doubles form automatically when enemies are defeated. Slap enemies with your super-tongue. Summon magic for a spin forcefield charge. Can swallow smaller enemies - Requires Soul Gem in Quicksilver Vault. Forcefield Ball can be controlled, and it does increased damage. Press (O) to release a Burp attack. Your Tongue grows longer and does increased damage. Hold (O) to charge up your Burp attack. Further develop your Tongue attack. Your Tongue can attack quicker than ever. Tongue does extra damage and can pick up food and power-ups. Your Tongue grows even longer. Further develop your Force Field attack. While in your Force Field Ball, press (Square) to create a force field explosion. Force Field Ball is larger and does even MORE increased damage. While in your Force Field Ball, press (O) to create a powerful burp attack. Press (X) to swing your axe. Launch the blade of your axe and rapidly reel yourself in. Magic Tripwires deflect shots - Requires Soul Gem in Arkeyan Armory. Press (O) to summon a Magic Tripwire that collapses on your enemies. Axe attack does increased damage. Summon up to 2 Magic Tripwires. Zipline Axe attack has increased range. Magic Tripwires are longer and do increased damage. Magical energy radiates from you when hit, damaging nearby enemies. When you strike with your Axe, anything nearby gets hurt too. Further develop your skills with the Axe. Press (X), (X), HOLD (O) for Axe Spin. Press (X), (X), HOLD (Square) for Magic Axe. Axe attack does even MORE increased damage. Zipline Axe travels much faster and does increased damage. Throw powerful punches with all four fists. Hold (Square) and then release to summon an ice prison that will trap enemies. Increased coolness and can surf faster - Requires Soul Gem in Empire of Ice. Have up to 3 Ice Prisons active at once. Ice Prisons explode and damage nearby enemies. Press (O) to slide across the ground. Punch attacks do increased damage. Further develop your close range combat skills. Press (X), (X), HOLD (Square) for Ice Hammer. Press (X), (X), HOLD (O) for Spinning Fist. Punch attacks do even MORE increased damage. Battle Armor makes harder for enemies to hit you. Further develop your Ice Prison attacks. Ice Prisons damage enemies trapped inside them. Ice Prisons travel further and faster. Ice Prisons last longer and are more resistant to attacks. Spit out pure electricity. Slide on a trail of sea slime that enemies will become stuck in. Regenerate health in water - Requires Soul Gem in Leviathan Lagoon. Shoot Sea Slimes to electrify them and shock enemies. Sea Slimes stay electrified for much longer. Lightning Breath attack does increased damage. Press (O) to summon a great wave to wash away enemies. Further develop your Lightning Breath and Wave attacks. Lightning Breath bounces off of enemies, objects and walls. Wave Attack does increased damage. Lighting Breath attack does even MORE increased damage. Further develop your Sea Slime skills. Create more Sea Slimes. Automatically electrify all Sea Slimes. Enemies take MORE damage when stuck in electrified Sea Slimes. Swing your big mace at enemies. Your mace shoots starfish bullets. New armor makes you harder to hit - Requires Soul Gem in Oilspill Island. Hold (Square) to charge up your Starfish attack. Mace attack does increased damage. Starfish attack does increased damage. Press (O) to create an electrified field that damages enemies. Further develop your skills with the Mace. Press (X), (X), HOLD (Square) for Mace Master. Press (X), (X), HOLD (O) for Power Slam. Mace attack does MORE increased damage. Hold (O) to create a more powerful Poseidon Strike. Further develop your Starfish attack. Shoot 3 Starfish at once. Starfish attack homes in on enemies. Starfish latch onto enemies doing continuous damage. Shoot high-velocity harpoons at your enemies. Press and hold (Square) to spray water at your enemies to knock them back. Hold (X) to charge Anchor Cannon attack. Release (X) to fire - Requires Soul Gem found in Treetop Terrace. Harpoons do increased damage. Power Hose attack does extra damage and knocks enemies back further. Harpoons reload faster. Press (O) to fly until water jet pack runs out. Further develop your Harpoon attack. Harpoons do even MORE increased damage. Harpoons travel straight through enemies and hit new targets. Shoot 3 Harpoons at once. Further develop your Power Hose and Jetpack skills. The Power Hose and Water Jet Pack never run out of water. Power Hose attack does even MORE increased damage. When using the Power Hose, press (X) to launch exploding creatures. Swing your tail around to attack 360 degrees of enemies. Roll into a ball and then over your enemies. New armor makes you harder to hit - Requires Soul Gem in Stonetown. Deflect incoming objects with your Tail Swipe. Tail Swipe does increased damage. Press (O) to summon a rock wall - hit it with your Tail Swipe to launch rocks. Use the Roll attack for twice as long. Further develop your Tail Swipe attack. Tail Swipe does MORE increased damage. Stone Projection does increased damage. Hold (X) to charge up the Tail Swipe and do extra damage. Further develop your Roll attack. Roll attack does increased damage. Roll does MORE damage and can roll right through enemy attacks. Becomes giant while rolling - roll faster and do even MORE damage. Throw boomerangs at your enemies. Throw both boomerangs around you in a circle for a close-ranged attack. Boomerangs pick up treasure, food, powerups - Requires Soul Gem in Darkwater Cove. Boomerangs do increased damage. Hold (X) to control boomerangs in the air. Press (O) to summon two Stonefist Traps from beneath the earth. Boomerang Shield does extra damage and blocks enemies' shots. Further develop your Boomerang attacks. Boomerangs do even MORE increased damage. Boomerangs bounce off of walls and enemies. Boomerang Shield lasts longer and does extra damage. Further develop your defensive traps and abilities. Summon 4 Stonefist Traps at once. Improved armor makes it harder for enemies to hit you. Enemies defeated by Boomerangs spawn Stonefist Traps. Press and hold (X) to fire a powerful energy beam. Summon crystal shards to smash enemies and refract your Energy Beam. Crystal Gems form at defeated enemies - Requires Soul Gem in Crystal Eye Castle. Summoned Crystal Shards do increased damage. Press (O) to summon a damaging ring of crystals around you. Energy Beam does extra damage. Split Energy Beams split again if they pass through a Crystal Shard. Crystal Eruption attack does increased damage and covers a larger area. Summon three Crystal Shards at once. Crystalline armor makes it harder for enemies to hit you. Further develop your Energy Beam attacks. Energy Beam attack does even MORE increased damage. Energy Beam splits into 3 beams when refracted through a Crystal Gem. Energy Beam attack has increased range. Press (X) to punch the enemy. Press (X), (X) hold (X) to perform a combo. (Square) to burrow and while underground, press (X) to perform a bellyflop. Collect powerups while burrowed - Requires Soul Gem in Pirate Seas. Punch attacks do increased damage. Belly Flop does increased damage and affects a larger area. Press (O) to spawn mini-sharks that burrow and latch onto enemies. Punch attack hits multiple enemies. Further develop your Burrowing abilities. Increased speed while burrowing. Mini-sharks home in on enemies and do extra damage. While burrowed, your dorsal fin does damage to enemies. Further develop your Punch attacks. Press (X), (X), HOLD (Square) for Body Slam. All punch attacks do even MORE damage! You launch mini-sharks at enemies who damage you. Launch magic orbs of spectral energy that track your foes. Hold (Square) to begin casting this spell - when fully charged, ghostly skulls rain down. Skull Rain knocks away enemies and attacks - Requires Soul Gem in Cadaverous Crypt. Press (O) to create a Wall of Bones. Conjure up to 4 Skulls with your Skull Rain attack. The Wall of Bones is larger and takes more damage to destroy. Press (X) to shoot 2 Phantom Orbs at once. Further develop your Phantom Orb attack. Hold (X) to increase the range of your Phantom Orbs. Phantom Orbs do increased damage. Phantom Orbs explode, damaging nearby enemies. Further develop your Skull Rain and Wall of Bones abilities. Wall of Bones damages any enemy that touches it. Takes much less time to cast Skull Rain and Wall of Bones. Skull Rain does increased damage. Press and hold (X) to shock enemies with bolts of lightning. Press (Square) to dash forward in shadow form. Ghost allies are summoned in your wake. A ghost ally travels with you and damages enemies - Requires Soul Gem in Molekin Mine. Press (O) to fly. Increased speed and armor while flying. Spectral Lightning does increased damage. Increased speed and armor while flying. Ghosts do increased damage. Shadow Dash range is increased. Further develop your Spectral Lightning attack. Hitting a ghost with Spectral Lightning makes it explode, damaging enemies. Spectral Lightning hold duration is increased. Spectral Lightning damages enemies in a larger area. Further develop your abilities with Ghosts and Shadow Dash. Enemies hit by ghosts move slower. Ghosts last longer and have a greater attack range. Shadow Dash does damage to enemies. Slash away at your enemies with this ancient blade. Hold (Square) to protect yourself from most attacks, also deflects projectiles. Bone Brambles to extra damage - Requires Soul Gem in Shattered Island. While holding (Square), press (X) to Shield Bash an enemy. Sword does extra damage and you regain health by defeating enemies. Move faster and block more damage while holding (Square) Press (O) to attack enemies with Bone Brambles. Further develop your Sword attacks. Press (X), (X), HOLD (Square) for Arkeyan Cyclone. Press (X), (X), HOLD (O) for Arkeyan Leap. Sword attacks do even MORE increased damage. Swords have longer range and do MAXIMUM damage. Further develop your abilities with the Shield. Hold (Square) to absorb incoming damage - while holding, press (X) to release absorbed damage. Shield Bash attacks stun enemies. Shield Bash does extra damage - absorbed damage is automatically released. Swing your chain whip tail at enemies. Transform into a ghostly skull that barrels through enemies. Ghosts have a bigger attack range and knock enemies away - Requires Soul Gem in Darklight Crypt. Chain Whip attacks do increased damage. The Skull Charge attack lasts longer. Hold (O) to enter Ectoplasm Mode and be immune to all attacks, but lose health over time. Defeating an enemy with the Chain Whip turns them into a ghost that attacks other enemies. Further develop your Ectoplasmic abilities. All nearby enemies take damage when you enter Ectoplasm Mode. While in Ectoplasm Mode, you move faster and lose less health over time. Touching a ghost while in Ectoplasm Mode creates a powerful explosion. Further develop your Skull Charge attack. Skull Charge does increased damage. Defeating an enemy with Skull Charge creates a ghost. Devouring a ghost while doing a Skull Charge heals you. (X) to swing your sword. Launch your flame spirit in an arc at foes. Armor makes it harder for enemies to hit you - Requires Soul Gem in Darkwater Cove. Sword attack does increased damage. Control your Flame Form after launching it. Press (O) to perform a massive, Mega Slam. Hold (O) to delay the attack. Flame Form Mortar does increased damage to a larger area. Further develop your Flame Form abilities. Flame Form moves faster and does increased damage. While in Flame Form, press (X) to trigger a massive explosion. Fire 2 additional Flame Form Mortars that do extra damage. Further develop your skills with the Flame Blade. Press (X), (X), HOLD (Square) for Fiery Burst. Press (X), (X), HOLD (O) for Fire Slam. Hold the Mega Slam attack long enough to do increased damage. Sword gets larger and does even MORE increased damage. Press and hold (X) for a stream of flame breath. Teleport to another location, leaving a damaging flame behind. Phoenix Dash is longer, does more damage and ends with a blast - Requires Soul Gem in Dragon's Peak. Control the direction of your teleport. Flamethrower Breath does increased damage. Press (O) to perform a Phoenix Dash. Flames left behind after teleporting do increased damage. Further develop your Flamethrower attacks. Endlessly use the Flamethrower Breath attack. Hold the Flamethrower Breath attack longer for extra damage. Hold Flamethrower Breath long enough to be surrounded by flame and do extra damage. Further develop your Teleportation skills. Flames left behind after teleporting are larger and do extra damage. Teleporting creates streaks of flames that damage enemies. Streaks of flames do increased damage. Shoot flaming arrows at your enemies. Hold (Square) to dash forward, leaving a flaming path of destruction behind. Flame Arrow Rain shoots more arrows that cover more area - Requires Soul Gem in Molekin Mine. Fire Arrows do increased damage. Draw a circle with the Flame Dash to create a fire column - Flame Dash does extra damage. Press (O) to fire Flaming Arrow Rain down on your enemies. Shoot Fire Arrows much faster. Further develop your Fire Arrow attacks. Fire Arrows and Flaming Arrow Rain do even MORE increased damage. Fire Arrows explode, doing damage to anything nearby. Shoot 3 Fire Arrows at a time. Learn new fire based abilities. Fire Arrows leave behind a burning patch damaging enemies that touch it. Hold (X) to charge a flaming inferno blast attack - release to fire. Drawing a circle with the Flame Dash causes fire to spread out, doing more damage. Lob blobs of lava at your enemies. Erupt into a pool of lava damaging enemies all around you. Shoot up to 3 Magma Balls at a time that do extra damage - Requires Soul Gem in Lava Lakes Railway. Lava Blob attack gets bigger and does increased damage. Lava Blobs leave behind pools of flame when they hit the ground. Lava balls shoot out while performing the Eruption attack. Press (O) to spit out Magma Balls. Further develop your Lava Blobs and Magma Balls. Lava Blobs bounce and travel farther. Lava Blobs explode and damage nearby enemies. Lava Blobs do increased damage in the form of a fiery beast. Further develop your Eruption attack. It takes much less time to perform an Eruption attack. Eruption attack does increased damage. Eruption causes small volcanoes to form, doing extra damage. An arced blast of rainbow energy. Send forth clouds that electrocute nearby enemies. Rainbows HEAL your allies! - Requires Soul Gem in Creepy Citadel. Rainbows do extra damage - shoot a Tempest Cloud and a 2nd rainbow chains off of it. Have 3 Tempest Clouds active - Tempest Clouds do extra damage. Press (O) to fly. Increased speed and armor while flying. Shoot a Tempest Cloud and 2 rainbows will chain off of it. Further develop your Rainbow of Doom attack. Further develop your Tempest Cloud attack. Shoot a Tempest Cloud and 3 rainbows will chain off of it. Bigger Tempest Cloud does increased damage with increased range. Electricity forms between Tempest Clouds that hurt enemies. Spin in your shell to take out enemies. A high velocity spin generates a tornado that picks up enemies. A thicker shell provides better armor - Requires Soul Gem in the Stormy Stronghold. Spin attack does increased damage. Hold (Square) to extend the range of your Tornado attack. Tornadoes can damage multiple enemies. Press (O)to fly. Increased speed and armor while flying. Further develop your Spin attack and flying prowess. Spin attack strikes farther and faster. Mini-Warnados fly with you. Press (X) to launch them at your enemies. While flying, hold (X) to slam down on your enemies. Further develop your Tornado attacks. Hold (Square)to manually control the direction of your Tornado attack. Tornadoes are super-sized and do increased damage. Tornadoes will attack enemies on their own. Unleash a deafening screech! Launch an egg that hatches into a feisty baby! Roar at babies and they will roar too - Requires Soul Gem in Sky Schooner Docks. Roar attack does increased damage. Press (O) to fly. Increased speed and armor while flying. Babies can now fly too. They travel at increased speed while flying. Have THREE babies active at once. Can throw all three eggs at once. Eggs will knock back enemies before hatching. Have FOUR babies active at once. Babies hatch fully grown and attack faster. Further develop your Roar attack. Roar attack continues to expand on impact. Roar at eggs to create a big shockwave that pushes enemies back. Inrease the damage and size of the Roar attack by holding (X). Lightning Bolt does increased damage. Grand Lightning attack lasts longer and does increased damage. Press (O) to create an electrical storm that damages enemies. Lightning Bolts stick into enemies and continue to damage them. Further develop your Grand Lightning attack. Summon the Grand Lightning attack much faster. Grand Lightning attack has even MORE power and does MORE damage. Summon the most powerful Grand Lightning attack ever! Create and develop defensive clouds. A protective cloud follows you and zaps any enemies that come near. Protective zapper clouds do increased damage. A THIRD protective cloud joins you. Hurl an explosive stick of troll-grade dynamite. Smash the ground with such impact that enemies are knocked back from the furious shockwave of power. Troll Bombs can be kicked at enemies - Requires Soul Gem in Oilspill Island. Dynamite does increased damage - hold (X) to delay the explosion. Smash does increased damage and knocks enemies back further. Press (O) to place a Troll Bomb. Dynamite does even MORE increased damage. Further develop your Dynamite and Time Bomb attacks. Troll Bombs have bigger explosions and do increased damage. You can have 6 Troll Bombs active at once! Throw 3 extra sticks of dynamite at once. Further develop your Smash attack. Smash does even MORE increased damage. Smash stuns enemies. Hold (Square) to charge up the smash attack, release to do MAXIMUM damage. Shoot homing rockets that chase down enemies for massive damage. Hold (Square) to dash forward and barrel over enemies. New armor makes you harder to hit - Requires Soul Gem in the Battlefield. Drill Rockets reload quicker and do increased damage. Bulldoze Charge lasts longer. Bulldoze Charge does increased damage. Press (O) to activate your Auto-Blaster. Further develop your Drill Rocket attack. Drill Rockets do even MORE increased damage. Drill Rockets explosions are bigger and can damage multiple enemies. Drill Rockets burst into smaller rockets. Further develop your Charge and Auto-Blaster attacks. Move faster during a Bulldoze Charge. Your Auto-Blaster fires much faster and never runs out of power. Bulldoze Charge does extra damage and can charge through some attacks. Press (O) to fly. Increased speed and armor while flying. Bladegears do increased damage. Eye Blasters do increased damage. Hold (O) to hover. Further develop your Blaster attack. Eye Blasters do even MORE increased damage. Eye Blaster beams explode on contact, doing damage to enemies. Press (X) to shoot lasers out of your wings as well. Further develop your Bladegear attack. Bladegears do even MORE increased damage. Bladegears explode on contact, doing damage to nearby enemies. Press (Square) to shoot 3 bladegears at once. Shoot rapidfire coins out of both golden guns. Lob golden safes at your enemies. Golden Machine Gun has unlimited ammo - Requires Soul Gem in Cadaverous Crypt. Hold (X) to charge up your Golden Gun, release to fire a bullet that does extra damage. Press (Square) to throw a Pot of Gold, which does increased damage. Charge up your Golden Gun longer to do even MORE damage. Hold (O) to activate Golden Machine Gun. Further develop your Golden Gun attacks. Golden Gun does increased damage. Golden Gun's bullets bounce off walls. Charge up your Golden Gun even longer to do MAXIMUM damage. Further develop your throwing skills. Your (Square) attack has longer range. Your (Square) attack explodes in a shower of damaging coins. (Square) tosses a coin that does extra damage - if it lands on heads, it does even MORE damage. Blast enemies with concentrated life energy in the form of a tiny sun. Conjure a vine of rapid growth and incredibly explosive bounty. Hold (X) to create a Sun Blast Shield - Requires Soul Gem in Goo Factory. Sun Blast does increased damage. Press (O) to send Melons flying everywhere. Firecracker Vines do increased damage. Firecracker Vines move quicker and further. Further develop your Firecracker Vines. Firecracker Vines create more exploding melons. Firecracker Vines do even MORE increased damage. Create 2 Firecracker Vines at once! Further develop your Melon Fountain abilities. The Melon Fountain blasts out more melons. The Melon Fountain does increased damage. Hold (O) to hide in the Melon Fountain - release to send the Melons flying. Press (X) to smash. Spit acorns at your foes to slow them down. You can float and regain health in water - Requires Soul Gem in Perilous Pastures. Stumpfist attacks do increased damage. Acorns are spiny and do increased damage. Press (O) to create a Meganut that damages any enemy it touches. Thorns shoot out when you are hit, damaging all nearby enemies. Further develop your Stumpfist attacks. Press (X), (X), HOLD (Square) for Stumpfist Charge. Press (X), (X), HOLD (O) for Stumpfist Spin. Press (O) when facing a Meganut to send it flying at your enemies. Press (X) when facing a Meganut to make it explode, damaging enemies. Further develop your Acorn and Megacorn abilities. Acorns explode, growing plants on all nearby enemies. Press (X) when facing a Meganut to make it burst into Acorns. Press (Square) to spit 2 Acorns at once! (X) to fire Bazooka Shells that explode into shrapnel - hold (X) to extend the range. Grow a barricade made of plants to protect yourself. Mortar shells explode into 3 smaller shells - Requires Soul Gem in Troll Warehouse. Bazooka shells and shrapnel do increased damage. Barrier is stronger and takes longer for enemies to destroy. Press (O) to launch a Mortar attack. Bazooka shells create more shrapnel. Further develop your Bazooka attacks. Bazooka shrapnel has longer range. Bazooka shells and shrapnel do even MORE increased damage. Bazooka shrapnel explodes on contact, damaging nearby enemies. Further develop your Barrier and Cactus abilities. Barrier does damage to any enemy that touches it. Mortar attacks grows a Cactus where the shell explodes. Barriers and Cacti knock enemies back and do damage. Slice your enemies up with a pair of sharp blades. Disappear completely but leave behind a decoy image that enemies are drawn to. Regenerate health over time - Requires Soul Gem in the Falling Forest. A Scarecrow appears in place of your decoy and distracts enemies. Blades do increased damage. Scarecrows last longer and take more damage to destroy. Press (O) to perform a quick acrobatic move. Further develop your blade attacks. Press (X), (X), HOLD (Square) for Poison Spores. Press (X), (X), HOLD (O) for Blade Flurry. Blade attack does even MORE increased damage. Magical Blades fight along side you. Further develop your Scarecrow skills. 3 scarecrows are created in place of your decoy. Scarecrows explode and damage enemies. Scarecrows have axes and do extra damage to enemies. any idia on what path for chop chop? V If only had more health he would be completely unstoppable. On sword path sword does 40, combo 1 does 56, combo 2 does 45, combo 3 does 60, mega slam does 80, and flame form does 25. I have all of my skylanders fully upgraded. Thanks, I‘ll choose floral defend, it looks really cool . If I get giants, I‘ll reset him in this game,but artilleraryman looks really boring. Thanks, I‘ll get him in 1 week. But I don‘t know which paht should I choose because his floral defender path is better, but maybe I‘ll get the second game for chistmas, and I don‘t want to lose his OLD GROWTH BAZOOKA , I like it.